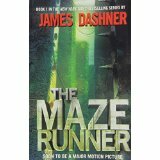 The Maze Runner: Scorch Trails, by James Dashner is the second book in The Maze Runner series and it sure is nice to be able to read more than one book in a series these days. Seems that I'm always reading the first book and never a second so thanks to Delacorte Press publishing for giving me the chance to continue the adventure with our hero, Thomas. But in his case it is almost less of an adventure and more of a confusing trip through a burning hell. After endless hours and complications, Thomas and a handful of his fellow Gladers were able to escape the horrid Maze they had found themselves trapped within. What should have been a safe house turns into a nightmare and they are quickly forced to endure new tests. Thomas starts to learn more about this group WICKED that is forcing these painful trails on them, but for each thing he learns, there are new mysteries that threaten to, if not kill him, to at least drive him crazy with paranoia and self-doubt. The Gladers soon find themselves set down in the middle of a desert so harsh that it is nearly impossible to survive. Add to this the insane cranks that lurk in the ruined city they must pass through, another group that might be trying to hunt them down, and lightning storms that burn people to ashes and they have something harder than the Maze to travel through. Mystery, betrayals, and misfortune haunt Thomas on every turn. WICKED gives him test after test, with no reason behind them that anyone can understand. Thomas and the reader hope for answers, but they are slow in coming and even when they are given, can the answers be truly believed. This is an action packed novel and geared to teenagers, although it is fast paced and inventive enough that I think other ages would enjoy it as well. Thomas is a likeable guy as are some of his buddies. Although he does make some bad choices, but I guess that makes him a more realistic teenager. Downsides might include that the writing seems a little dummied down. The author tends to review the situation at the beginning of some chapters, like we might have forgotten where we left off. I didn't think the plot was so complex that this needed to be done as much as it happened. Also Dashner is the king of tell me, do not show me. I am not sure how he gets away with it, some of my publishers would have been screaming at me over the phone if I had some much internal dialog going on with my characters. Just because the book is for a younger audience does not mean we never have to have any doubt over what Thomas is thinking, what he is going to do, and why he did it. Strange how the rest of the book is full of unsolved questions, but Thomas is an open book quiz. This is probably what kept me from giving the novel a higher rating. Still the novel is a fun ride. I found myself reading it quickly because I needed to find out how it would end up and that is always a good sign. Dashner is inventive and likes to keep the fast pace action going. His books are enjoyable and deliver what they promise. I hope they send me the next one.